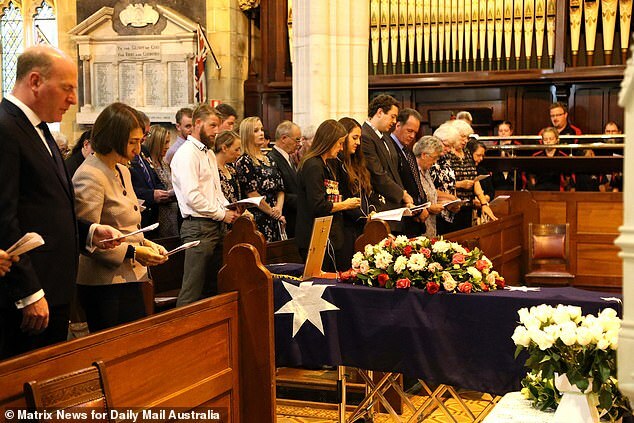 Prince Harry's biggest Australian fan, war widow Daphne Dunne, was farewelled on Tuesday in a service that celebrated her long and extraordinary life. 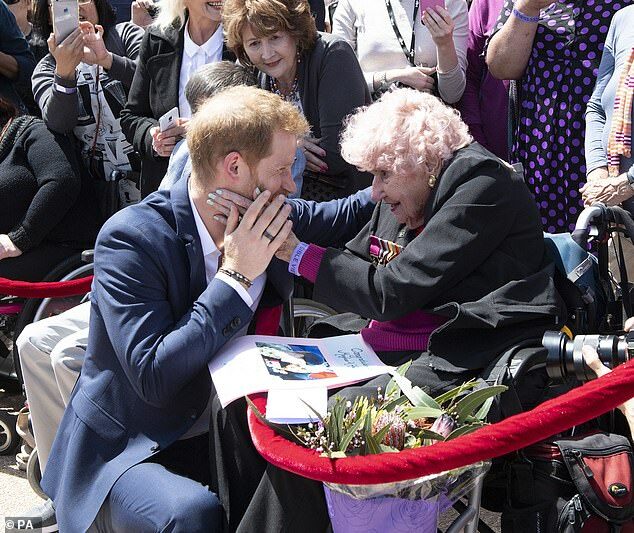 Mrs Dunne, 99, was remembered as a 'beloved Australian' whose personal encounters with the Duke of Sussex had touched the hearts of millions around the world. 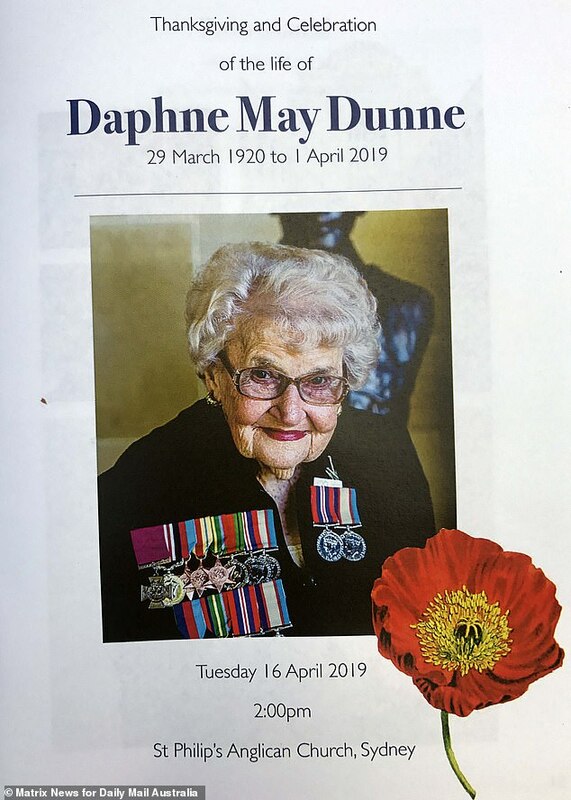 Mrs Dunne's flag-draped casket was piped into St Philip's Anglican Church in the heart of Sydney to the tune of Waltzing Matilda, led by the Canberra Pipes and Drums. 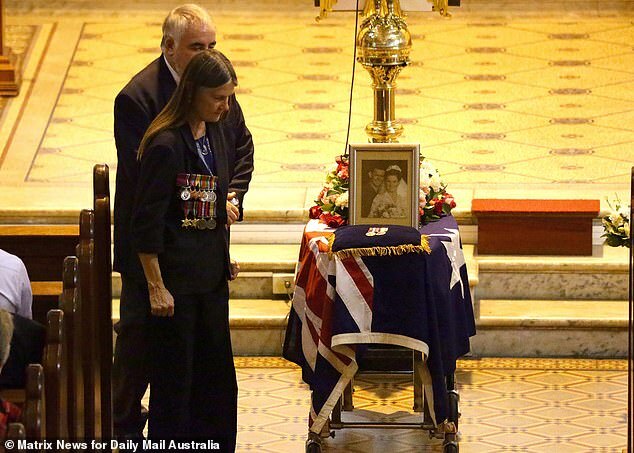 Among those paying their respects was New South Wales Premier Gladys Berejiklian. 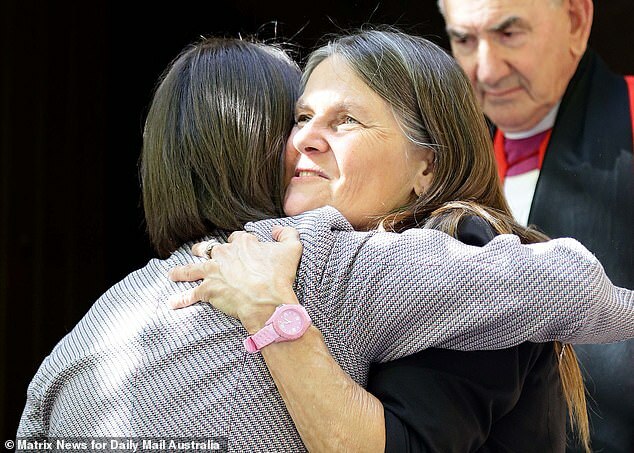 Her daughter Michelle Haywood said Mrs Dunne had shared a warm and sincere relationship with Prince Harry, who she met three times on his Australian tours. 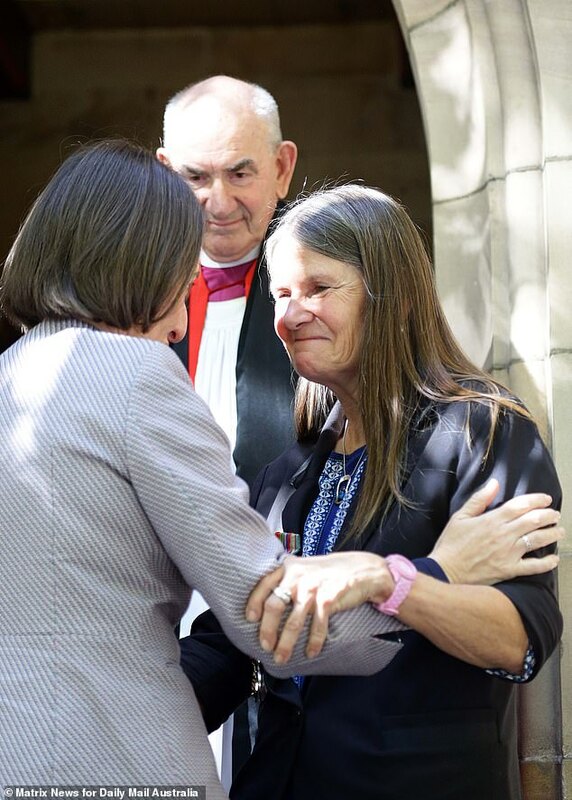 'My mum certainly was always just my mum but somehow she became like a mum and a nanna to so many people,' Ms Haywood said. 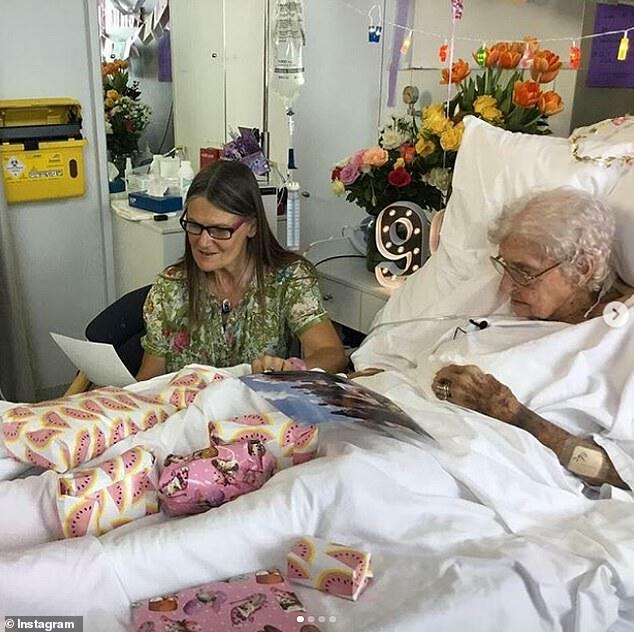 Mrs Dunne died aged 99 just days after receiving a birthday card from Prince Harry and Meghan Markle. 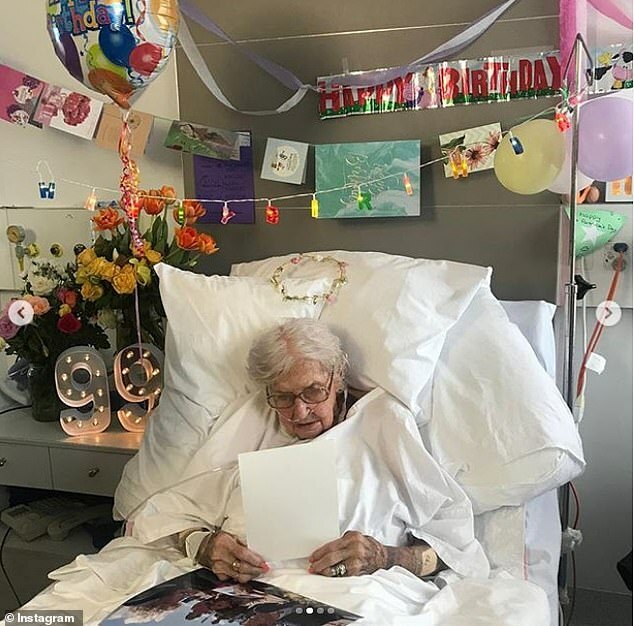 She had been suffering from a long bout of pneumonia but a birthday note from the royal couple had lifted her spirits in her last days. 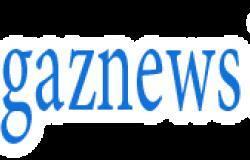 Mrs Dunne died at the Sydney Adventist Hospital with her daughter Michelle Haywood and one of her granddaughters by her side. 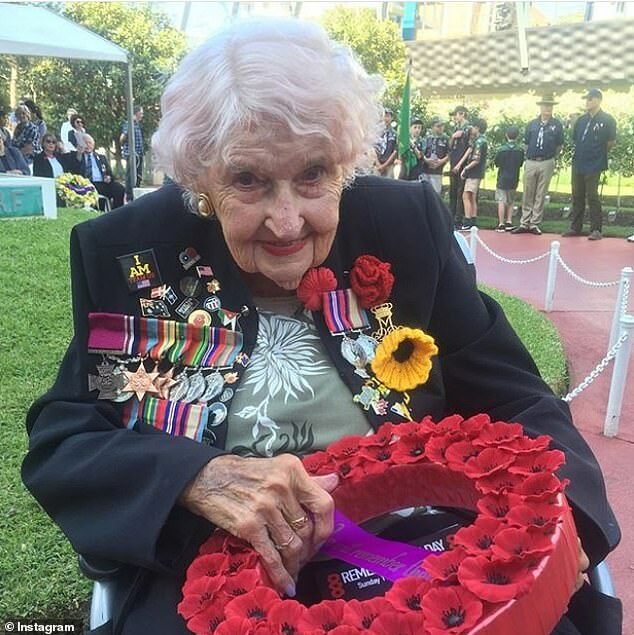 Prince Harry first spotted a replica Victoria Cross pinned to Mrs Dunne's chest at the Sydney Opera House after he completed a deployment with the Australian Defence Force in 2015. 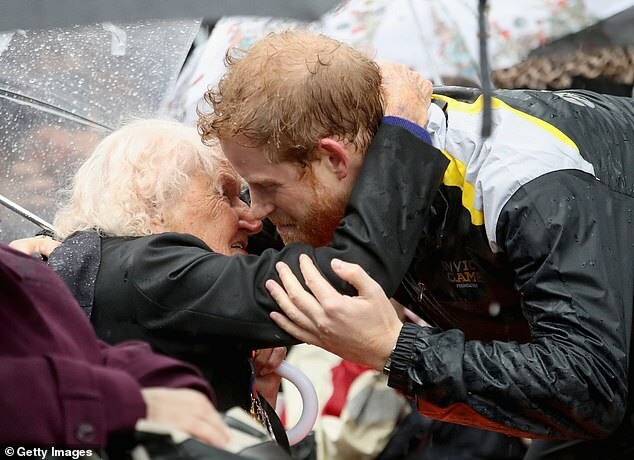 They met again in 2017 during a rainy Invictus Games launch event, and the prince introduced Mrs Dunne to his new wife outside the Opera House during the royal couple's visit to Sydney last year. A spokesman for the royal family said the Duke and Duchess of Sussex were 'deeply saddened by the news' and would write to Mrs Dunne's relatives privately. 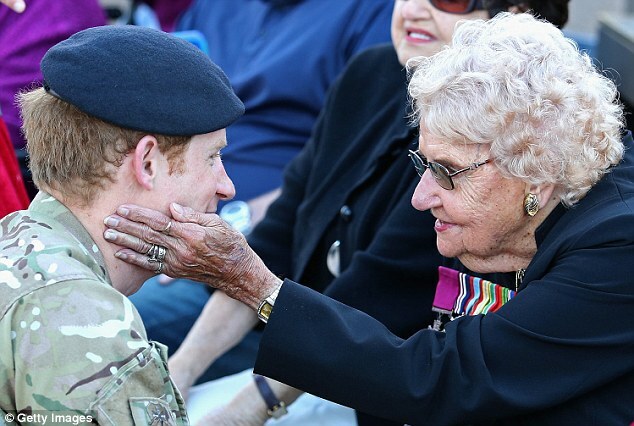 MAY 7, 2015: Prince Harry and Daphne Dunne meet outside the Sydney Opera House after he spots her wearing a replica Victoria Cross. JUNE 7, 2017: The pair catch up and share a hug at an Invictus Games launch event. 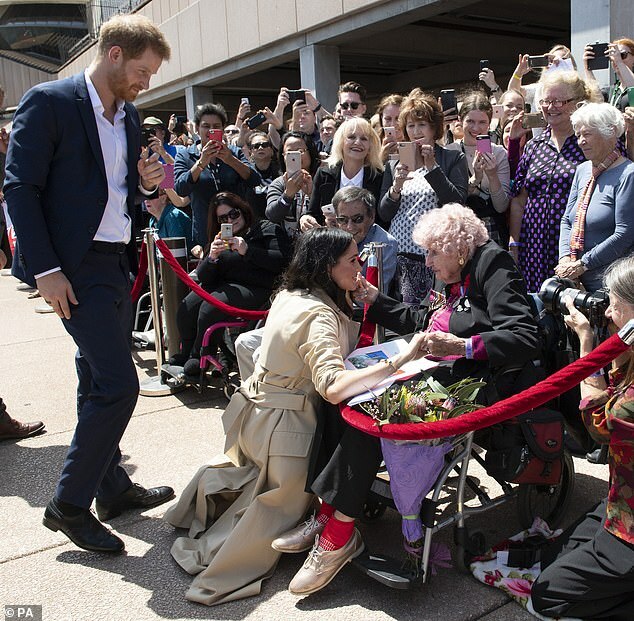 OCTOBER 16, 2018: Prince Harry introduces Mrs Dunne to his new wife Meghan Markle outside the Opera House. The birthday message from the royal couple arrived just days before her death. 'Dear Daphne, my wife and I send our warmest wishes to you on the occasion of your 99th birthday on Friday,' the card read. 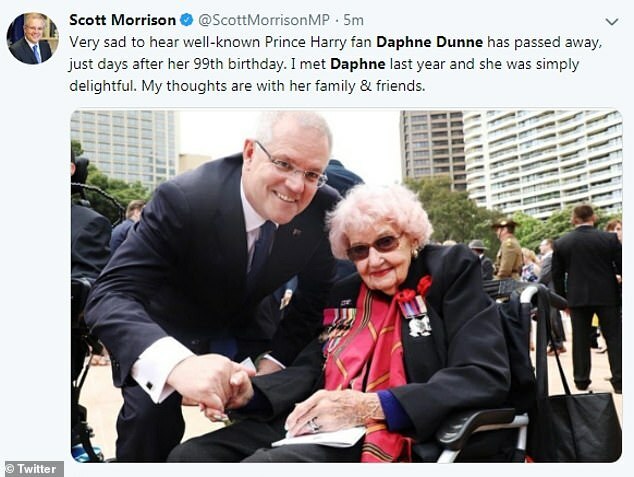 Prime Minister Scott Morrison was among those to pay tribute to Mrs Dunne on social media after her death, saying his thoughts were with her family and friends. 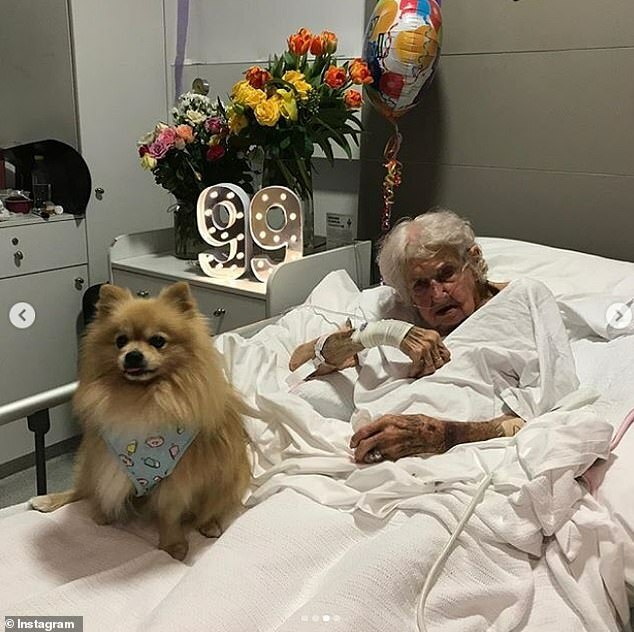 Mrs Dunne spent her birthday with Ms Haywood, grandchildren Katie and Charlie, and nieces Denise, Robyn and Lynette, as well as her pomeranian Meeko. 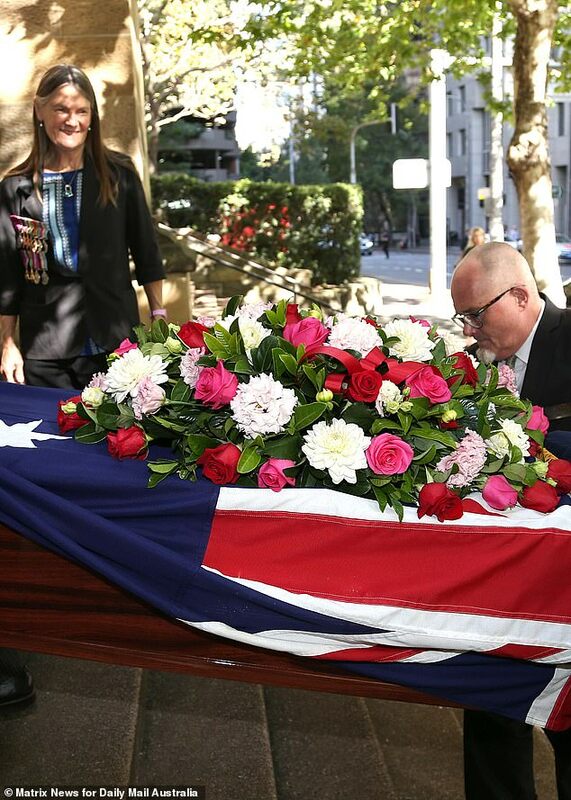 'She had the most beautiful day, surrounded by so much love and colour and flowers,' Ms Haywood said. 'Everyone that walked past her hospital room was just blown away. No one could believe it was a hospital room.